I get these questions so often that I almost feel the need to get the answers out in the open. And if you have ever attempted to race such a long endurance event like an Ironman, I know you probably have asked them too. I know it’s difficult to understand this “endurance sickness” most ironman athletes have, but here’s some FAQ to help inform your friends and help clear up their misconceptions. 140.6 miles? I don’t even drive that far! I know that. 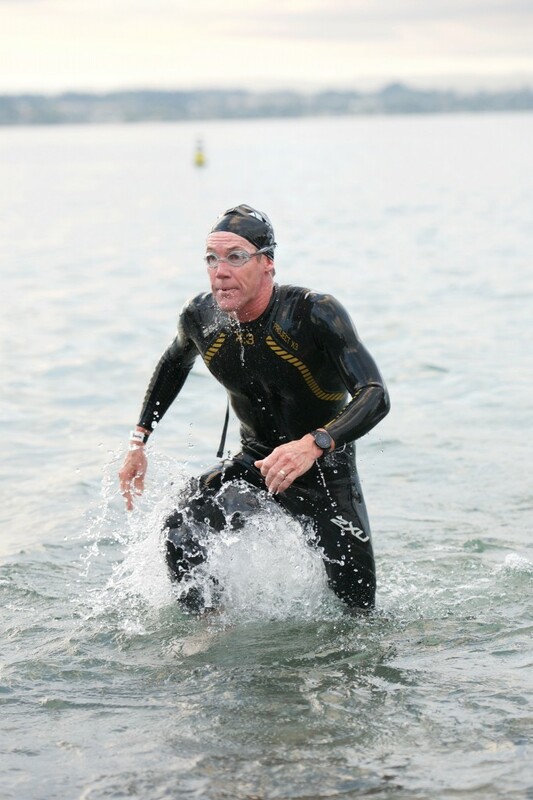 Triathletes have actually known it since the dawn of triathlon, way back when those marines first told their wives that they were attempting to complete the hardest challenges of three different sports on one single day. Triathletes know it’s something ridiculously long. We also understand that this is the way of clearing the awkwardness and masking what you’re truly thinking. Things like “Why would I do that?” and “that’s just insane.” We may seem annoyed, but we actually just don’t want to hear “Oh, you are running a marathon? That’s cool, Oprah did it too” so we added the swim and bike to it prior. 17 hours to complete an Ironman? I can’t even drive that long without needing a power nap? There are a few of us who have perfected the art of moving forward while sleeping. We refer to it as “death marching” and usually happens on those last 26.2 miles. Yet only the elite stubborn among us can perform this feat to the end and still make it look like they are actually running. For the most part, we typically try to stay awake the duration of the entire race via caffeine or mind power. For the slow folks, this may mean a LOT of mind power, something that would put to shame Charles Xavier from the X-men. For all, the act of ‘death marching’ often induces things like hallucinations of milkshakes, hot tubs in Singapore, and Bruce Wayne driving by. No big deal in the grand scheme of things, really. Isn’t it super hard on your body? At first, we would have vehemently debated you that it’s not and that it’s just a full day of outdoor exercise. Although, that all changes the moment you hit T2 of an Ironman and you realize you still have to run a full marathon with your body screaming you to lay down into the fetal position. At that point, and for the next couple of hours when you are trying to cover the last 26.2 miles of the race, you decide YES, it just can’t be good for your body, that’s for sure (Probably the worst you can do to it actually). However, first we won’t ever tell you how hard it actually is and secondly you will have a cliché line underneath your tongue about the epic finish. Something like “you may brag for the rest of your life”. Do you stop to rest between sports? Seriously? It’s still a triathlon, you don’t stop unless you are about to faint because the clock doesn’t stop and the day isn’t getting any longer. You have to finish in under 17 hours and you may as well get over with it fast so you can drink all the beer available at the finish line. What do you eat? How do you use the bathroom? 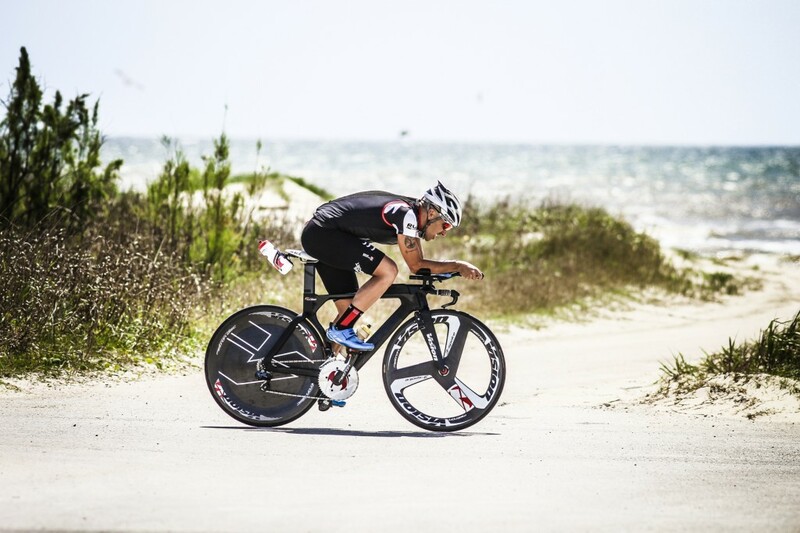 The way you fuel an Ironman differs for everyone. Everything is allowed: energy drinks, energy gels and bars, baby foods, fruit snacks, PB & J sandwiches, bacon, etc. We eat while we bike and run because, well, again, the clock doesn’t stop. This will probably be the question that will disgust you the most because… we also use the bathroom while moving forward. And be prepared to hear great stories about GI distress, diarrhea and nausea because, oh boy, I will have plenty to share. See, we swim, bike and run for a stretch and simultaneously suffer, complain to ourselves, and pull all those weird foods out of little bento boxes on our bikes or our pockets. We are lucky, on most races, to have a buffet laying down on tables every couple of miles. People call it “aid stations” and these are manned by gracious volunteers, probably triathletes themselves, prepared to feed you while you are still moving forward. Since you are exercising and – in theory – doing something healthy, you would probably think that we race and eat berries or salads, but there’s nothing more appealing that imagining there’s like 10 cheeseburgers and French fries at the finish line. I had a friend of mine that did Ultraman. That’s probably twice as hard as Ironman, no? Please forgive us (triathletes) when we appear to become hostile while passionately slamming down the fact that “NO, Ultraman is not twice as hard. Your friend stopped and slept in a van and completed the distance in three different days”. Understand that we do not think any less of your friend. We in fact envy him for having the brains and the decency to set fun, attainable, and realistic goals. We just need you to understand that we are insanely dumb and stubborn optimistic enough to attempt that Ultraman in one day on our own two feet. But obviously there are only 24 hours in a day. Furthermore, we will eventually be done with Ironman, tired of trying to break the 8 hour mark and never get there so we try something else as a challenge. Most of the time we just smile and laugh and shake our head while trying to ignore your deeply wounding, gut wrenching question that struck us to our very soul. You said you were never doing it again. Why are you signed up for another one? Usually this question comes from a woman, holding three kids and the dog’s leash. That woman may also and often be your wife. We expect any and all persons to honor the unspoken code: ignore and forget all things verbalized during an Ironman, 24 hours after an Ironman, and up to 3 months post Ironman. That’s it. Oh sweet, you do Ironman. So have you ever done a marathon? Oprah did it.